LOOKING FOR SMALL GROUP BIBLE STUDY CURRICULUM? Dating the authorship of Revelation... ! It would be remiss of any serious student of Revelation not to at least do a cursory examination of the historical context to which Revelation is back-dropped. The first point of reference would have to be to determine when Revelation was written. Most scholars regard there being only two possible dates. Dr. Leon Morris explores this adequately in his Tyndale Commentary series volume on Revelation, and I recommend that this widely available commentary be read. In the case of most books of the Bible, determining the date of its authorship, while certainly important, is not necessarily crucial to its interpretation. 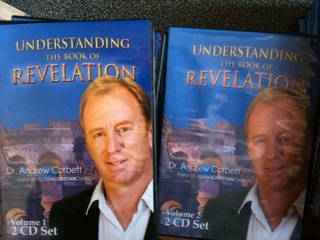 But this is absolutely not the case with the Book of Revelation. Some tradition has up until recent times regarded the date Revelation’s authorship to be around 95AD. This has been based almost entirely on one vague statement by the second century Church Father, Irenaeus. There are suggestive evidences within the book to date it in the mid- to late-60s of the first century. In fact, the evidence is persuasive enough that it convinced such notable scholars Moses Stuart, F. J. A. Hort, B. F. Westcott, and F. W. Farrar in the last century, and J. A. T. Robinson, R. A. Torrey, Albert A. Bell, and C. F. D. Moule in our own day. Two leading indicators of the early date are: (1) The "temple" in the "holy city" is still standing as John writes, though it is being threatened with devastation (Rev. 11: 1-2). We know as a matter of historical fact that the Jewish temple was destroyed in A.D. 70, and has never been rebuilt. (2) The sixth "king" is presently ruling from the "seven mountains" and will do so until a king comes who will reign a "short time" (Rev. 17:9-10). The preterist takes this to be a clear enough allusion to Nero Caesar. According to the enumeration found in Josephus’ Antiquities (18:2:2,6, 10) and Suetonius’ Lives of the Twelve Caesars, Nero is Rome’s sixth emperor, following Julius Caesar, Augustus, Tiberius, Gaius, and Claudius. The next reigning emperor, Galba, reigned but six months, the shortest reigning emperor until that time. by Dr. Kenneth Gentry Jr.
What is it Iranaeus [supposedly] said about the date of Revelation? Actually, Iranaeus did not discuss the dating of the book at all. The relevant quote is about the identity of the beast of Revelation and is found in the work of Eusebius, 4th century church historian, Book 5, chapter 8. Eusebius says Iranaeus speaks about John :"We, therefore, do not venture to affirm anything with certainty respecting the name of antichrist. For were it necessary that his name should be clearly announced to the present age, it would have been declared by him who saw the revelation. For it has not been long since it was seen, but almost in our own generation, about the end of Domitian's reign." And to give you confidence, when you have thus truly repented, that there remains for you a trustworthy hope of salvation, hear a story that is no mere story, but a true account of John the apostle that has been handed down and preserved in memory. When after the death of the tyrant (previously identified as Nero) he removed from the island of Patmos to Ephesus, he used to journey by request to the neighboring districts of the Gentiles, in some places to appoint bishops, in others to regulate whole churches, in others to set among the clergy some one man, it may be, of those indicated by the Spirit. Cerinthus was a first century AD author who wrote The Pseudo-Apocalypse. He died well before John, that is well before 95AD, but his Pseudo-Apocalypse contains many references to John's Apocalypse (the Book of Revelation). Rev. 17- There are "seven kings, five have fallen, one now is." Nero was the 6th Roman King. He reigned until 68AD. The expressions of nearness of the Lord's coming within Revelation indicate that something was about to immediately happen. The notion that "imminent" doesn't mean soon but rather anytime- and then quickly is somewhat ridiculous and a discredit to the several lexicons which have succumbed to this faulty reasoning. If Revelation was written in 95AD, what event happened within months or few years of its publication that could be seen as fulfilling the great sense of imminence contained within its pages? None. But if Revelation was written around 64AD the question is easily answered by pointing to the great persecution which commenced in 64AD and the campaign against Jerusalem which began in 68AD. It is therefore my thesis that Revelation 1-19 concerns events which were all fulfilled by 70AD when Jerusalem was destroyed. I believe these passages parallel Matthew 24. Revelation 20 then introduces a greater time period- "1,000" years, which I believe simply means a long period of time. I believe this parallels Matthew 25 where we find several long-time references (the Bridegroom was "delayed", vs. 5; the Master went away "a long time", vs 19). At the end of Revelation 20 a fire appears from heaven which delivers the godly. I believe this is the physical return of Christ, which is also described in 2Thessalonians 1:7-8 as being "fire from heaven". Therefore, the entire concept promoted by the Left Behind series is built upon a ridiculous method of Biblical interpretation which places nearly all of the contents of Revelation into the yet-to-be-fulfilled category. The implications of course for rightly determining the date of Revelation's authorship and which method of Biblical interpretation we employ are related. If Revelation was written in 95AD, then my beliefs are wrong. 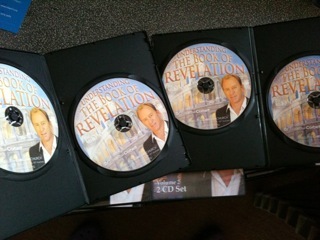 If Revelation was written around 64AD then I could be right. If I am right then we need to overhaul how we regard the future and our involvement in it. It was a dark time for the Church. Since the death of Stephen in Acts 7, the Jewish Temple authorities had been waging a violent war against the Church. This continued up until the time of Jerusalem’s destruction in 70AD. Empire sanctioned persecution against the Church was being intensified since 64AD when Nero had ordered Christians to be put to death (usually by beheading). He declared that everyone in the Empire must acknowledge that he was Lord and King. Christians were publicly humiliated, ostracized and martyred throughout the Empire by both Jews and the Romans as they refused to declare that Caesar was either their Lord or their King (titles they exclusively reserved for Christ) or that the Old Covenant had any hold on them. Added to this was the rise in false doctrine, an increase in spiritual routine and therefore a decline in authentic passionate love for Jesus. The Lord reveals through John that the wave of persecution against the Church was driven by the Dragon, no longer would his initial readers be lulled into thinking that they were engaged in some mere politico-ideological war- but a life-and-death spiritual war. 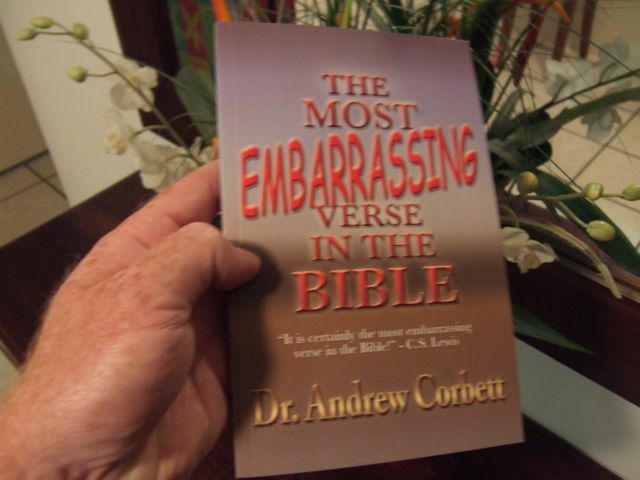 Download Dr Corbett's eBook The Most Embarrassing Book In The Bible.